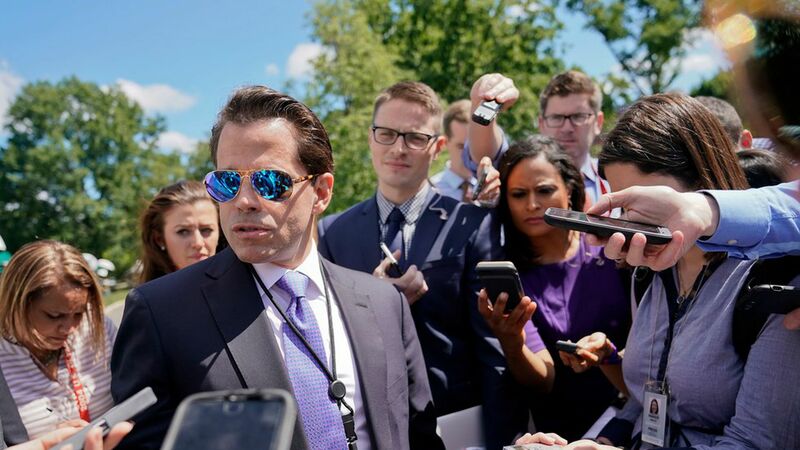 Anthony Scaramucci is looking for a publisher to pick up his new book on his short-lived time (all 10 days of it) in the White House. Sources told Page Six that "the Mooch" has been meeting with several publishing companies, and that the book is being repped by Trident Media Group, whose clients include Jon Stewart and Paris Hilton, among others. Get smart: Scaramucci didn't hide from the spotlight after being fired. Instead, he embraced the media attention and used it to further his latest career moves. Since his White House departure he's signed with a famous Hollywood publicist, done several TV interviews, and is now capitalizing on his time with Trump through a hopeful book deal.